In-line filter / strainer with 1/2 inch female BSP connections at each end. In-line filter / strainer with 1 inch female BSP connections at each end. Brass in-line strainer with compression 15mm pipe connections and a stainless steel filter element. 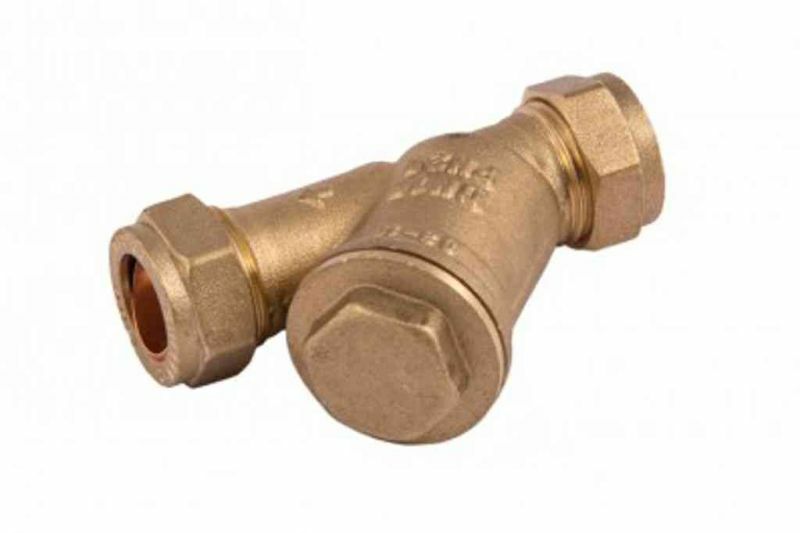 Brass in-line strainer with compression 22mm pipe connections and a stainless steel filter element. 3/4 inch BSP in-line filter / strainer.